Merle Haggard and Willie Nelson weathered storms—survived politics, broken hearts and rules with equal aplomb. At 78 and 82, like the best old bluesmen, they just chug on, grinding out songs and crisscrossing the highway making music. Still, it’s the mariachi-horned “It’s All Goin’ To Pot,” as clever a “smoke ’em if you got ’em” midtempo track as was ever written, that started Django and Jimmie’s buzz. Social commentary meets marijuana endorsement, the song sees Haggard and Nelson savoring the truth wrapped in a joke. 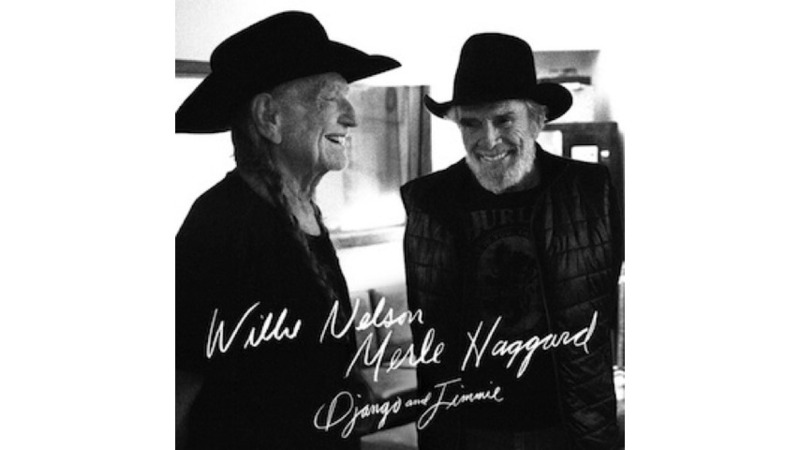 If the chugging “It’s Only Money” is an easy-come, easy-go reveler, suggesting Nelson’s “Whiskey River,” Haggard’s back-in-the-pocket delivery drops it into the zone between Austin and Bakersfield. Full of rolling barrelhouse piano and Dixieland horn punctuations, it’s a funky feel-good kind of country. But it’s the luxurious classic ballads where the elegance and eloquence reign. “Unfair Weather Friend” and “Where Dreams Come To Die” are bookends for life’s struggles, the comfort of the one who shows up and the reality that some things will not happen. Slathered in steel, stately guitar parts and the exhaled vocals that are signature for both, it makes the case for a genre being outmoded. To imagine as wild or as free is hardly worth the effort. Just hearing them make the music they want is plenty.